PROTEC Fiberglass FRP Pressure Vessels Membrane Housings | Applied Membranes Inc.
PROTEC™ Pressure Vessels are designed for continuous use as housing for membrane filtration elements to purify typical brackish or seawater at any positive pressure up to the specified pressure rating. Protec Membrane Housings will accommodate any make of eight-inch nominal diameter spiral-wound element as well as many hollow fiber elements. The element interface hardware for the specified element is supplied with the vessel. Protec Membrane Housings been designed to meet the standards of the American Society of Mechanical Engineers (ASME), Boiler and Pressure Vessel Code, Section X. At an additional cost, vessels can be inspected during fabrication by an ASME Authorized Inspector and Code stamped. 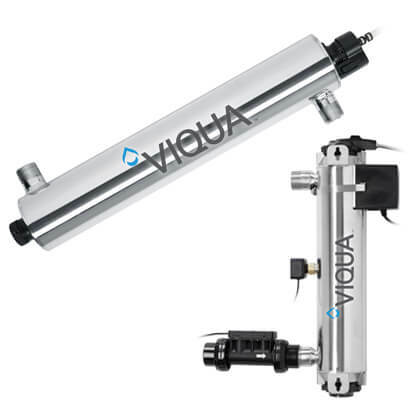 Protec Membrane Pressure Vessels (Membrane Housings) are available in End Port and Side Port Configuration. 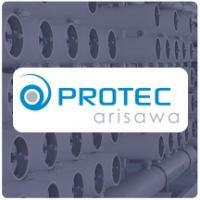 PROTEC Arisawa 2.5-inch diameter membrane housing pressure vessels are suitable for housing seawater RO membranes and ideal for Watermaker SWRO systems. Available in pressure rating of 150psi to 1200psi, can accommodate qty. 1 to 7 of any standard make of 8" membrane element. Available in pressure rating of 150psi to 1200 psi, can accommodate qty. 1-7 of any standard make of 8" membrane element.